All the driving lessons learnt on the first day could take us only 30 kms from Merida after which we were at the mercy of the locals to lead us to our subsequent destinations. After taking longer than what a random walk algorithm would have taken, we finally bumped into Uxmal, our first ruins of the trip. Uxmal's stunning architecture, especially its Casa del Adivino (magician's house) kept us engaged for more than two hours. Sayil, Kabah, Xlapak and Labna are the other sites in the region - all lying on a path that takes its name from the style of architecture viz., Ruta Puuc (puuc route). Of these, only Kabah with its El Palacio de los Mascarones (palace of the masks) remains in memory after a week of sweltering Yucatecan heat has taken its toll. Apart from the ruins, the route is also home to the largest underground cave in the peninsula - Grutas de Loltun (Loltun caves) - occupied by the ancient Mayans around 2000 BC and later used by their descendants as a makeshift fort during the caste wars of early 20th century. The following day was the first of three long drives, an option forced on us by the fact that Camepche's attractions are closed to public on Mondays. 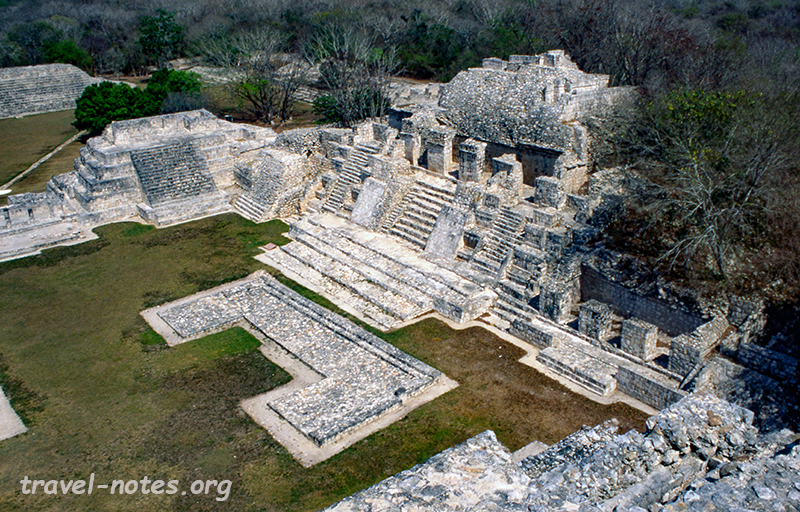 Hence, we had to drive past Campeche on Monday and return here the following day in order to avoid skipping it. Edzna was the only stopover for the day. It is lies a little off the main Puuc route, but still has quite bit of its influence. 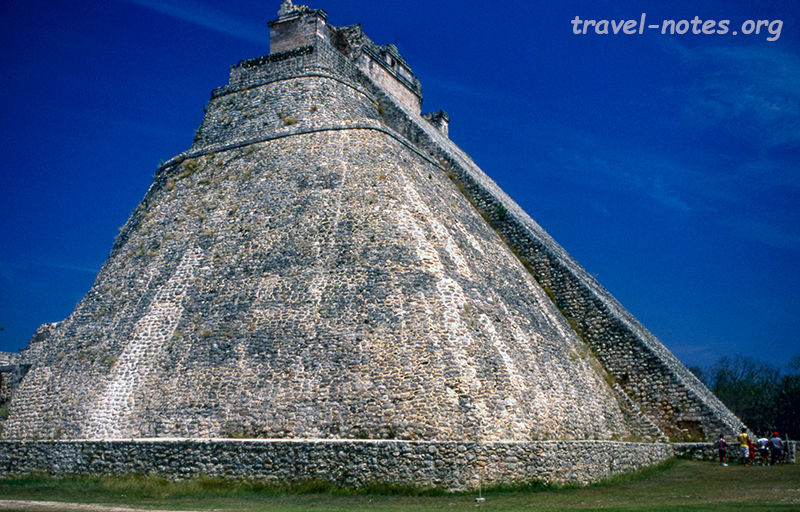 The site's primary attraction is its edificio de cinco pisos (five story building), a wonderful mixture of a pyramid and a palace. 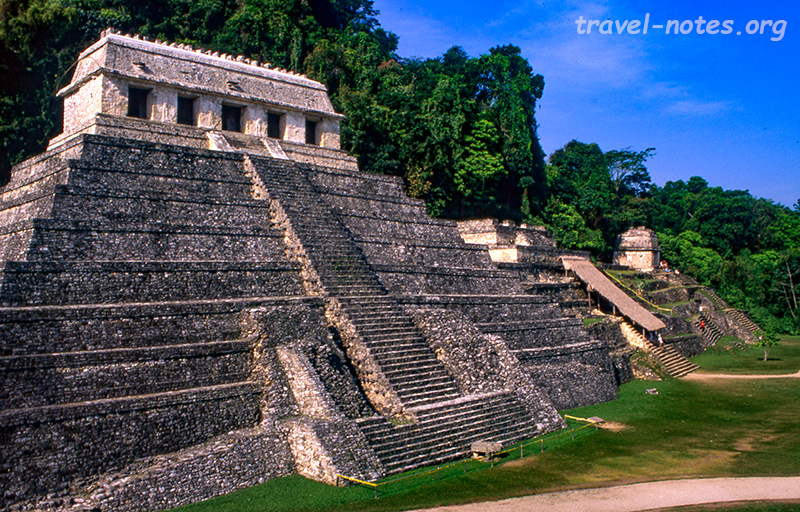 Our destination for the day was Palanque, a huge mayan settlement set in a spectacular rain forest setting. Palanque is easily the most dramatic of all Mexican ruins. From what I have heard, only Tikal in Guatemala can stand upto it. Only less than 10% of the site has been excavated and open to public - more than enough to capture anyone's heart. After rubbing our eyes in disbelief for over couple of hours that we spent at the site, we drove back to Campeche. Click here for more photos from Puuc route sites and Palanque.